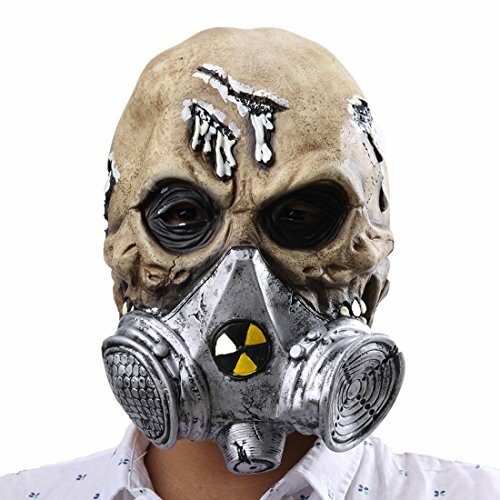 Halloween Scary Skeleton Gas Masks This masquerade masks fits for most adult heads,both men and women. 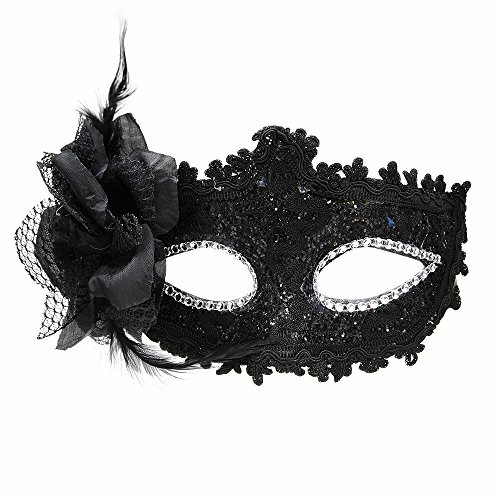 Perfect for Masquerade Parties, Gifts, Costume Parties, Carnival, Christmas, Easter, New Years Eve Party, Halloween, etc. Please note Notes: If you think this mask has a little odor, just don't worry, it's the normal odor of latex, put it under ventilated place for one day, the odor will disappear. If you are allergic to latex, please don't wear this. 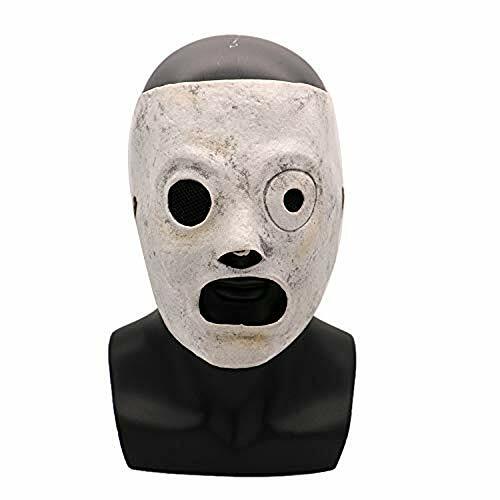 SIZE Approximately:Size: W7.9inch H*11.4inch,nw:6.7 oz Here are some tips to get the most enjoyment from our masks NO.1 Please be aware that the vacuum packaging may cause a slight deformation issue. I say slight because it will go back to its original and intended shape in a couple of hours. Just use something to hold the mask open. We suggest a wig stand or Styrofoam mannequin which can be found and purchased cheaply. One customer says that a small waste basket turned upside down will also work. NO.2 In order to make our mask look more realistic we intentionally made the slits for eyes and mouth small. However, if needed, you can improve your sight by reworking our mask at home carefully cut them larger. 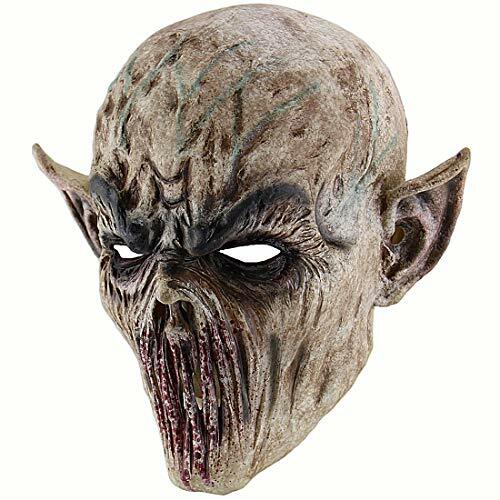 Halloween latex mask This masquerade masks fits for most adult heads,both men and women. Perfect for Masquerade Parties, Gifts, Costume Parties, Carnival, Christmas, Easter, New Years Eve Party, Halloween, etc. 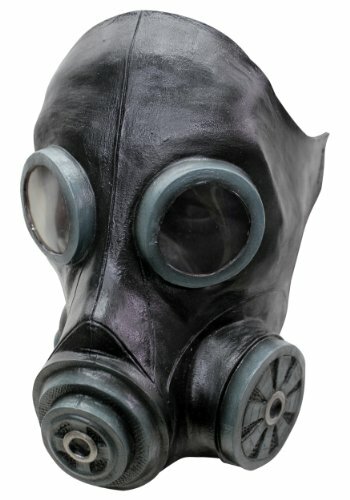 Please note Notes: If you think this mask has a little odor, just don't worry, it's the normal odor of latex, put it under ventilated place for one day, the odor will disappear. If you are allergic to latex, please don't wear this. SIZE Approximately: Weight:7.4 oz,Length*10.6inch .Width*7.5inch Here are some tips to get the most enjoyment from our masks NO.1 Please be aware that the vacuum packaging may cause a slight deformation issue. I say slight because it will go back to its original and intended shape in a couple of hours. In order to make our mask look more realistic we intentionally made the slits for eyes and mouth small. However, if needed, you can improve your sight by reworking our mask at home carefully cut them larger. 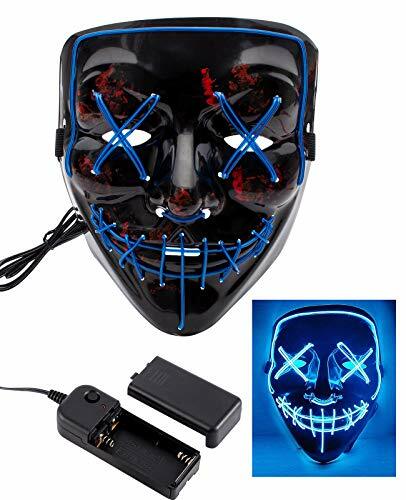 Package Include: 1 * LED Light Up Mask Specifications: Material: PVC + EL Wire Size:19 x 17 x 8cm / 7.48" x 7" x 3.14" Color: Blue Weight: 3.8ounce Age Group:Adults Occasion:Halloween,Party Type:Ball Mask Cover Area:Full Face Features: 1. 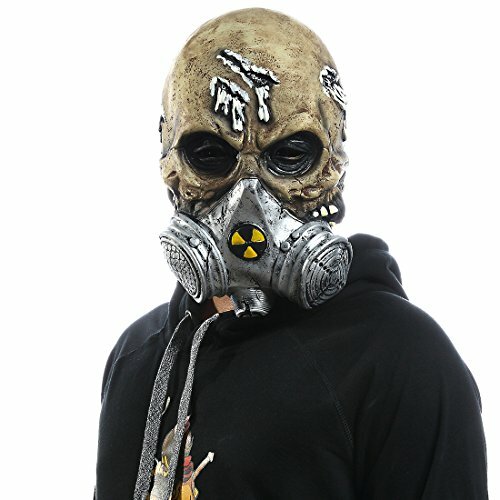 Glowing EL Wire is woven into the mask, made of durable PVC, has no UV harm, NO adverse effects on the human body 2. Size: About 19 x 17 x 8cm / 7.48" x 7" x 3.14". 3. With some foam glued to inside that make it much more comfortable to wear than the masks that didn't have it. Full of your face be covered. 4. The mask control have 4 modes:Steady Light,Slow flash,Fast flash,Off. Light uniform, soft, do not flicker, will not make the eyes produce tension, fatigue. 5. Clip the power pack to your pocket or onto your clothing. Takes 2 x AA batteries (not included). In the low power will be when the light, the power consumption of milliwatts. 6. 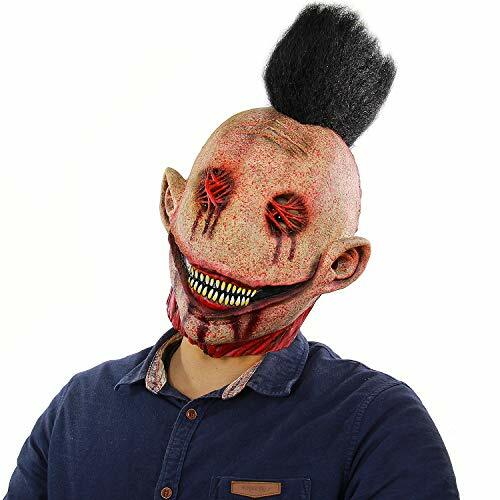 The Mask Can be used on any Occasional such as Party, Rave Parties, Discos, Clubs, Halloween ,Birthdays, Festivals and Events.